When you choose to work with and buy from VRE Systems, you’re getting over 40 years of customer satisfaction built into each of our products. We pride ourselves on being customer centric, meaning we provide more “at your service” attention to our customers than anyone in the business. For VRE customers, it’s the details that matter, because they will make a difference to your profits. All VRE products have been engineered to provide the highest return on your investment, to be a quality and long-lasting product, and to meet your exact business needs. Our commitment also includes being the leader in heat retention, light deprivation and shade curtain systems in North America and the obvious choice for the fabrication requirements of the greenhouse and garden center industries. We believe that by following these principles VRE Systems will achieve the ultimate goal of being the leader in our chosen field. Quality control, quality assurance and meeting and exceeding industry standards are critical to the engineering, manufacturing and supply of VRE products. VRE is committed to developing and maintaining standards of quality that are of the highest level. By establishing and then meeting these high standards, we will provide our customers with safe, reliable products and services. It will also ensure that the name VRE Systems is synonymous with quality. To order from VRE Systems, please call us at 800.499.4873 or you can email us at info@vresystems.com. For a copy of our most recent product catalog, please visit the catalog page. For our Integrated Plant Production System line of products, specifically designed for cannabis cultivation, please visit the Horticulture page. VRE Systems began in October 1978, in Stoney Creek, Ontario. In 1993, the company moved to its current location, in Grassie, Ontario. 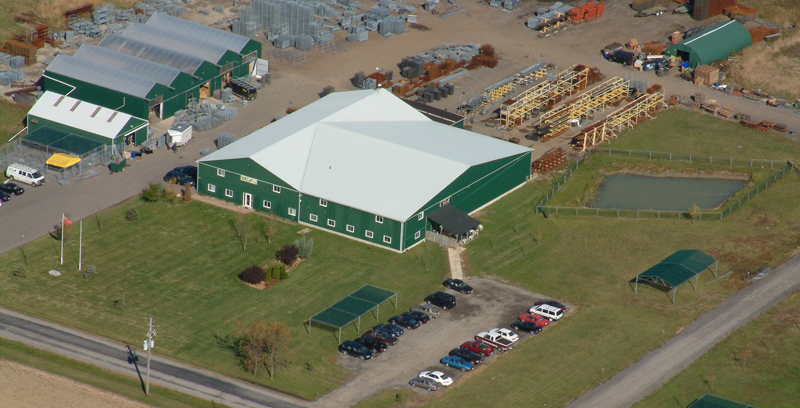 On the company’s 18 acre property we have 40,000 square feet of manufacturing space. VRE Systems is a special company with a strong foundation built on the values and ethical principles passed down by the Van Rijn family. Our reputation for integrity and honesty has been earned through nearly 40 years of commitment and hard work and continues today with George Van Rijn and his valued employees.